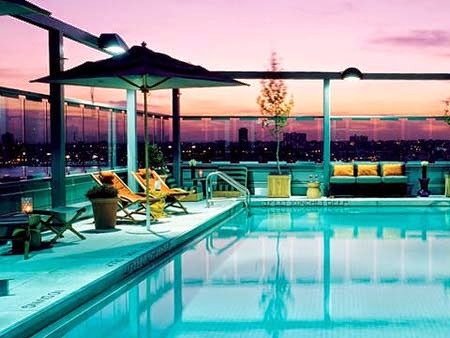 New York City is home of the ultra-chic and elegant resident, and so it comes as no surprise that the very glamorous Gansevoort Meatpacking hotel calls this city home; book your travel across WhataHotel! and enjoy Exclusive Complimentary Perks for an amazing deal at an amazing hotel. Sleek, stylish and located in the vibrant Meatpacking District, the Hotel Gansevoort Meatpacking is the very first luxury hotel in this incredible area. Travel to the Big Apple and discover all of the remarkable things this city has to offer each and every visitor. 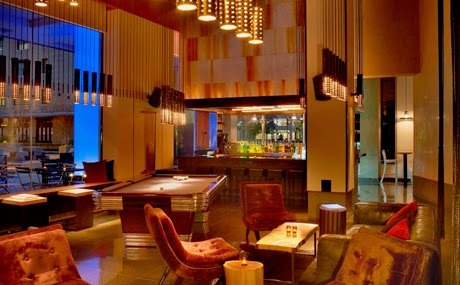 Gansevoort Meatpacking has 163 guestrooms and 23 suites. These accommodations feature contemporary decor and fashionable details alongside all of the necessary amenities to ensure a fabulous stay. Other incredible characteristics of this hotel are the signature roof-top pool with 360 degree views of the city, a roof garden and lounge, a multi-level Japanese restaurant, an alluring new lounge, and the very tranquil Exhale Spa that has transformative therapies and fabulous fitness classes. All of these extraordinary services will guarantee that each guest feels pampered and well cared for. The incredible location of this hotel also allows guests to enjoy the sensational local hot-spots. Nearby, visitors can find some of the city's hottest clubs, high-end boutiques and award-winning restaurants. Travel to this magnificent metropolitan area that not only calls to tourists across the country, but across the globe as well. 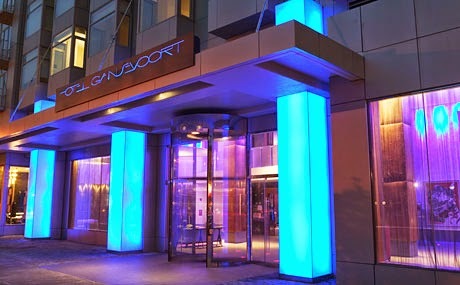 When booking your stay at Gansevoort Meatpacking across WhataHotel! guest will be thrilled to receive Exclusive Complimentary Perks for one of the best deals in NYC. These perks include upgrade at time of booking (when available), a continental breakfast for two daily at Chester, a $50 food and beverage credit and options for a late check-out. When making plans to savor the history, style and character of New York City, travelers will fall for this unique hotel with its glamorous decor, modern furnishings and top-notch service. Experience all of the charm found in this remarkable city while staying at a hotel that is big on luxury with all of the comforts of home!